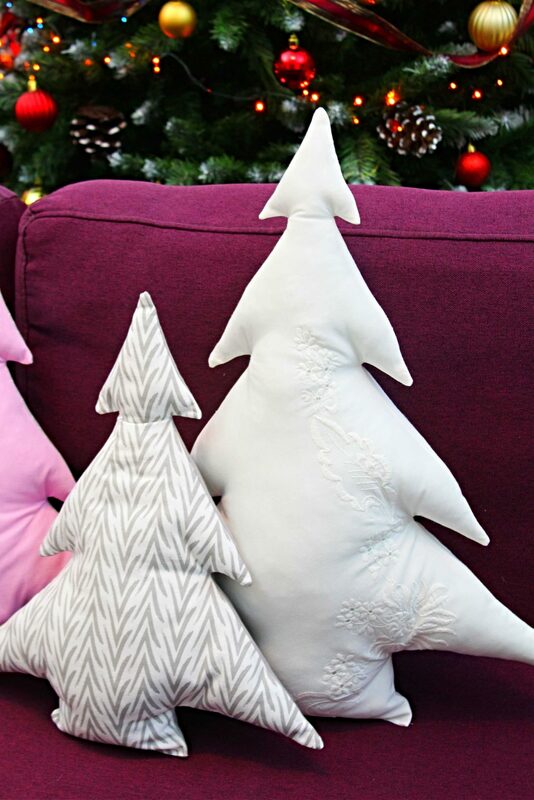 Have you been looking for cute ideas for Christmas pillows to make? 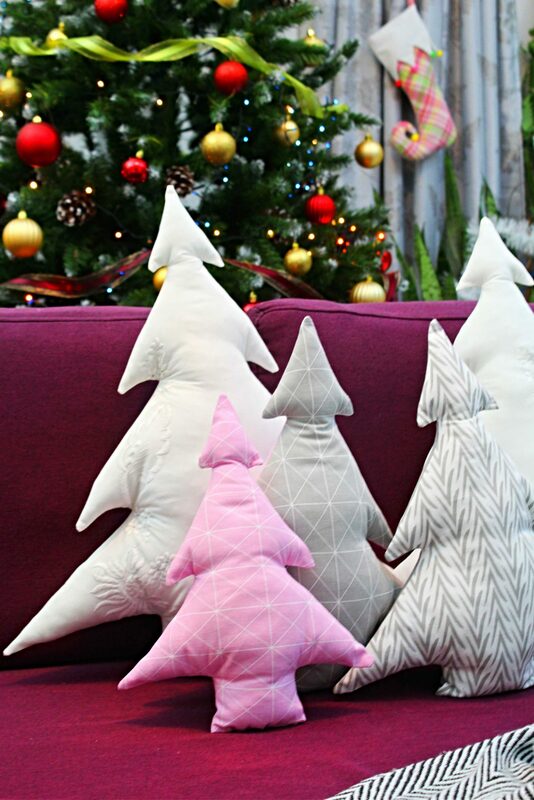 A Christmas tree pillow (or a bunch of these cuties) is a fun and adorable addition to your holiday decor! 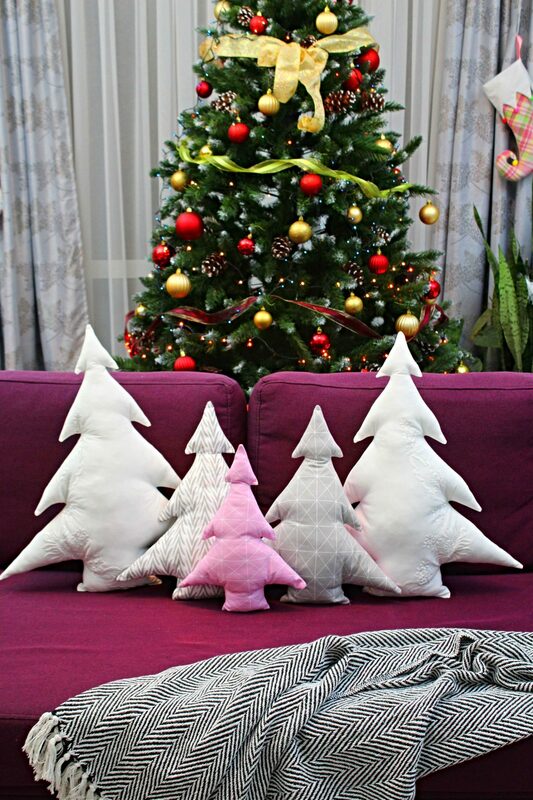 Add to your holiday decor without breaking the bank with a Christmas tree pillow! 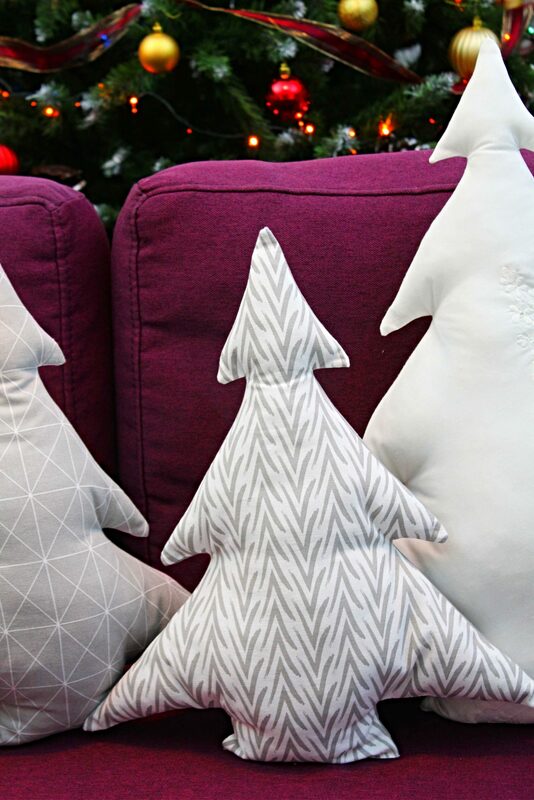 These adorable holiday pillows are so easy and quick to make about 15 minutes from start to finish (that’s right! just 15 minutes!) 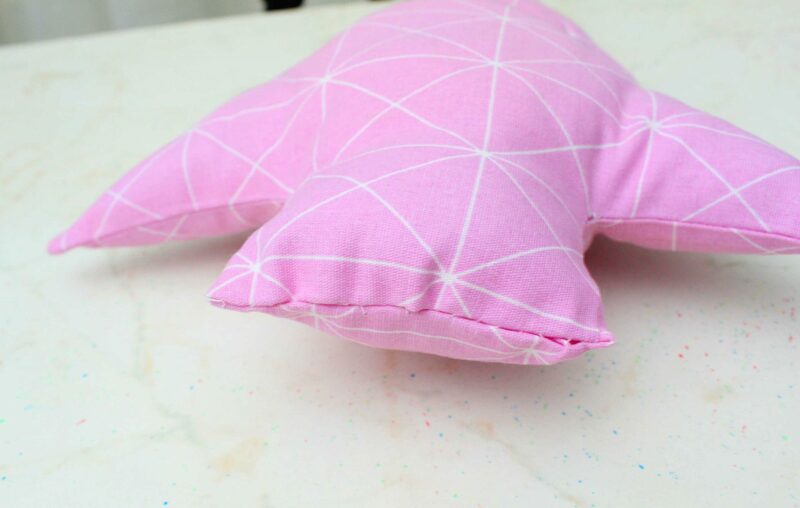 that you’ll soon find yourself making pillow after pillow for every member of your family and your friends! 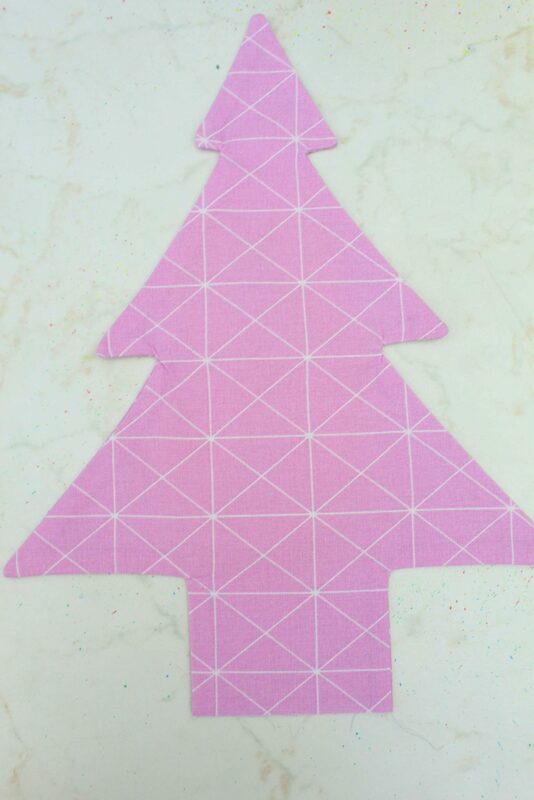 I found this project for Christmas tree pillow one of the most enjoyable I ever did! 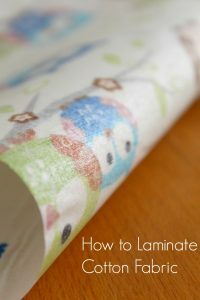 Probably because the end result is so insanely cute! But also because it was super quick, a great way to use some of the scraps I had (for the small pillows) and basically foolproof, with no room for mistakes! 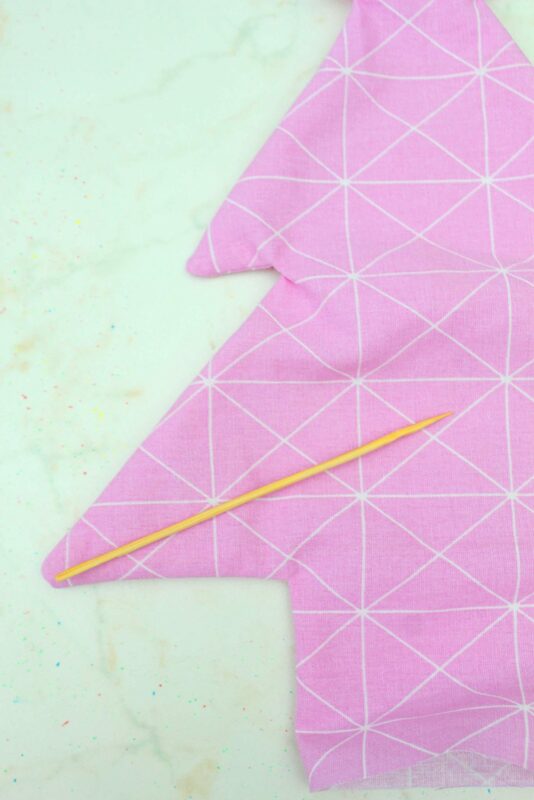 My Christmas tree pillow pattern is the perfect project for beginners as it’s super easy, it involves sewing just a few straight lines, using basic stitches. 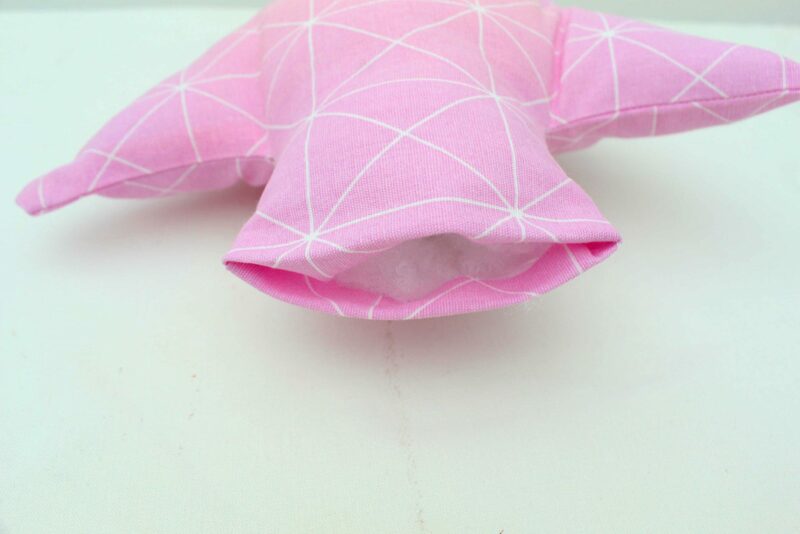 This project is ready in no time but has such a big impact on your home decor looking as if you’ve spent hours making each pillow! 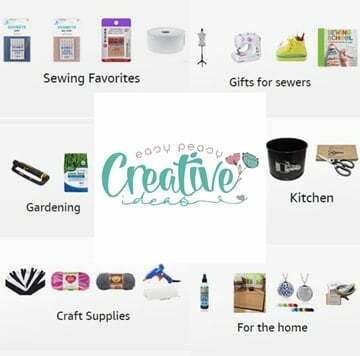 So if you have some time for a quick, easy and fun project this month, I have just the thing for you! The only “hard” part about this project is stuffing the pillows with poly fill. Those tiny corners were hard to fill at first but then I realized I can use a ruler and a bamboo skewer to push the poly fill to those hard to reach corners and everything went super smooth from that point on. I made three patterns in different sizes and they’re available to purchase here or you can get them for free if you are a subscriber to my sewing newsletter. 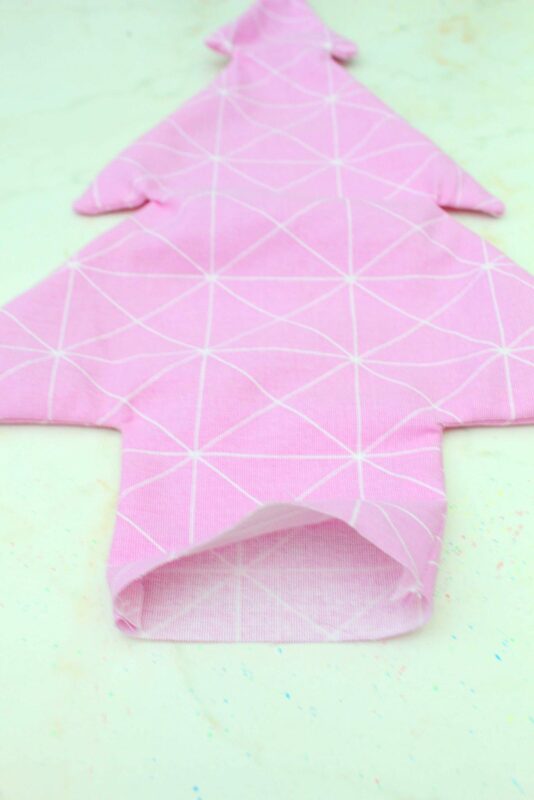 Decide which pillow pattern to use, calculate the fabric needed and double the length. 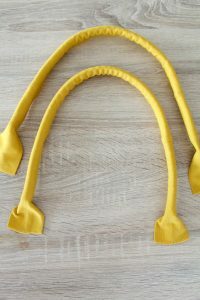 Fold the fabric strip in half, right sides together. 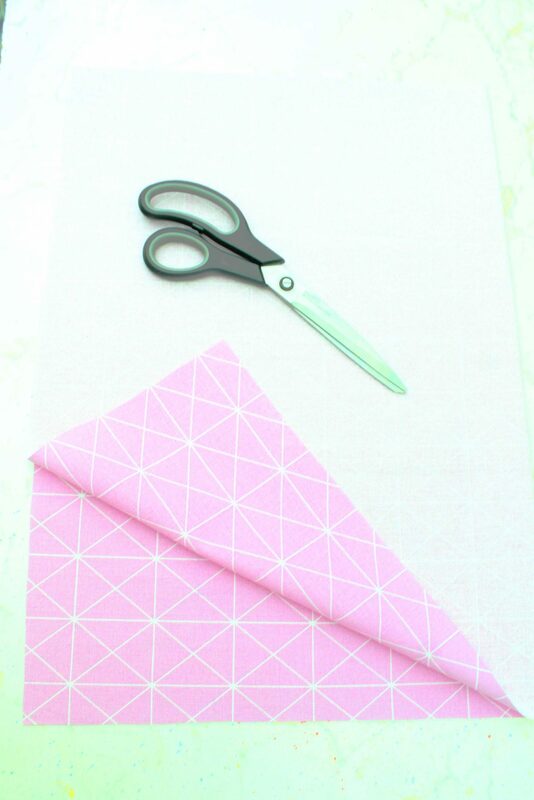 Place the pattern over the folded fabric and keep in place with pattern weights. 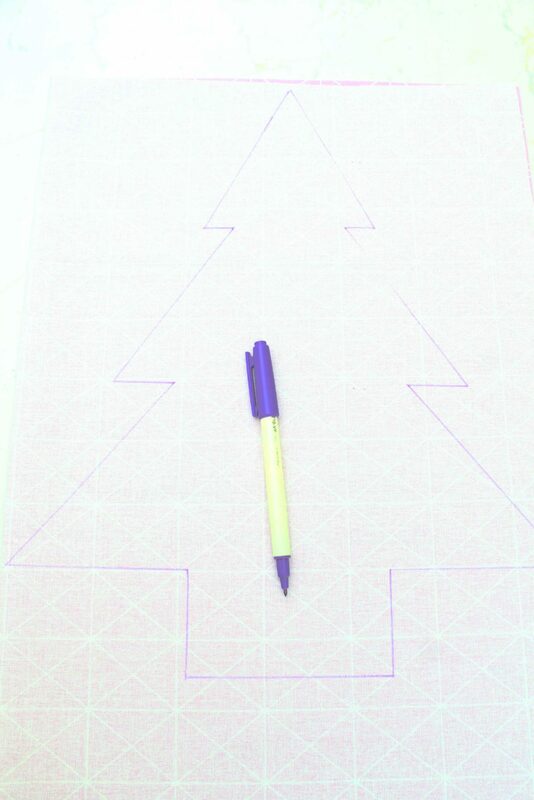 Using a ruler and fabric pen, mark around the pattern. 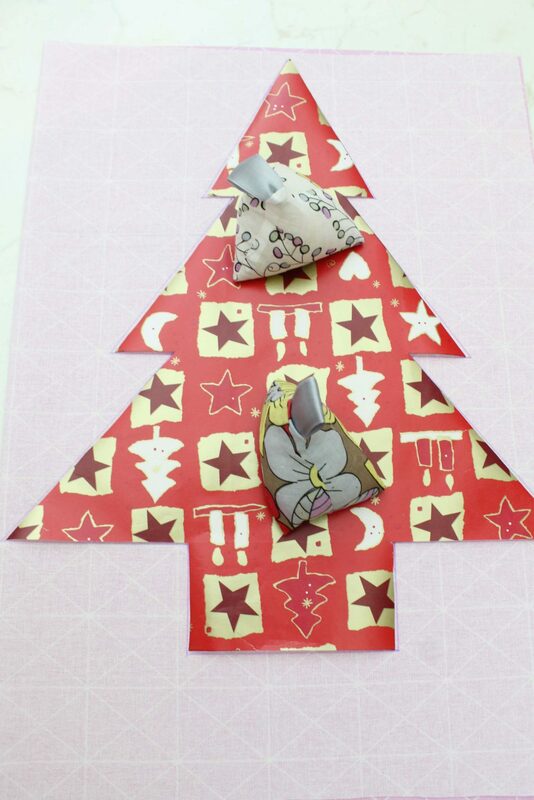 Remove the pattern and pin the fabrics together, inside the tree. 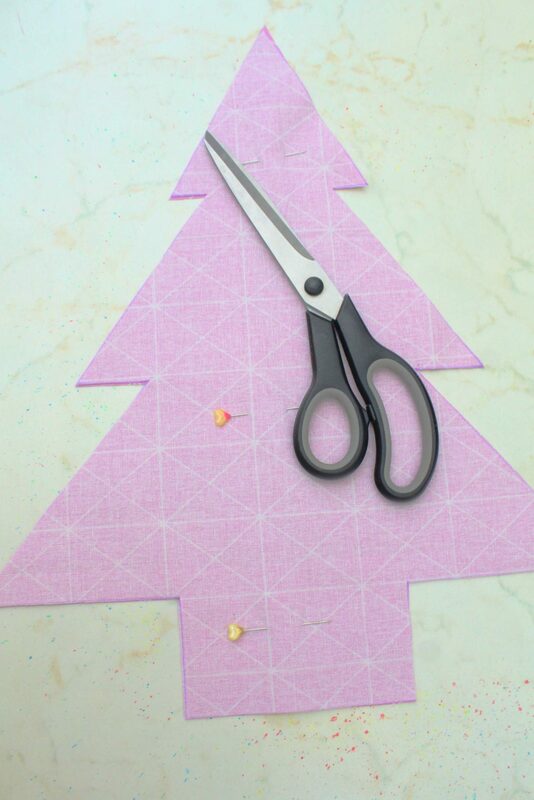 Cut out with your scissors. 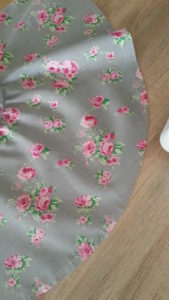 Sew down the sides and bottom with 1/4″ allowance, but leaving the base open. Trim the outer corners and clip the inner corners. 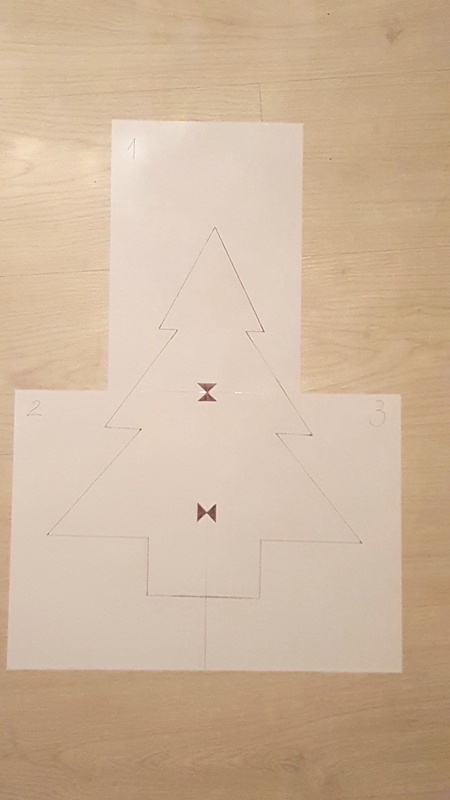 Turn tree right side out through the gap left in the base. Using a blunt tool like a bamboo skewer, gently push the corners out then smooth out the seam. 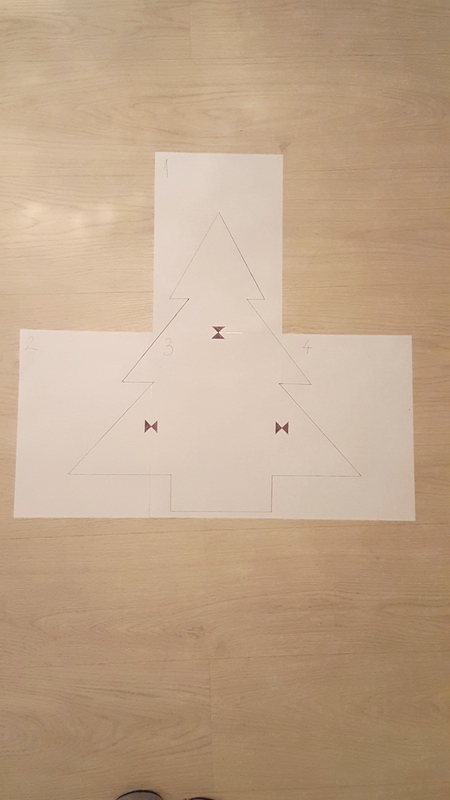 Turn your pressing iron on steam and press the tree well. Fill with poly fill through the base. 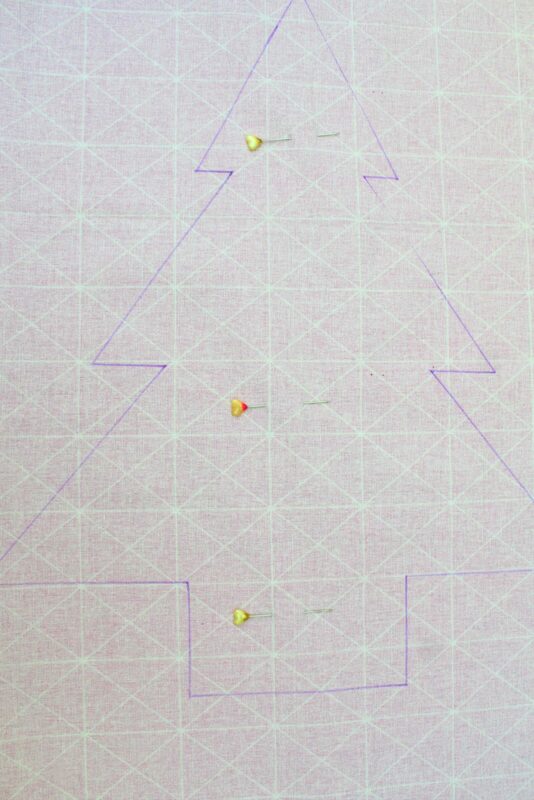 use the ruler and bamboo stick to push the filling evenly into all those tiny corners. 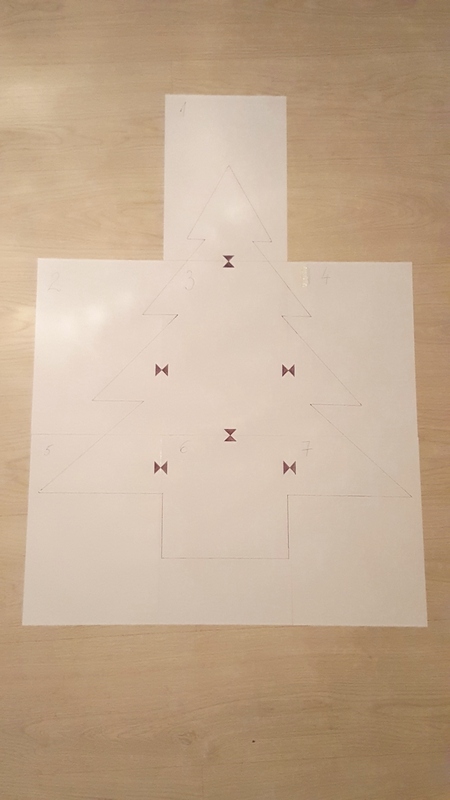 When the tree is all stuffed, turn the base inside about 1/4″ and press. 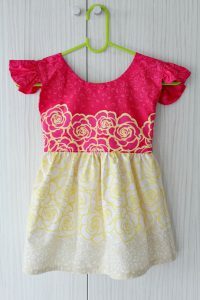 Grab the hand needle and sew the opening closed using a ladder stitch.